SCVHistory.com HM6303 | Santa Clarita Hospital Candy Stripers Tea, 1963. 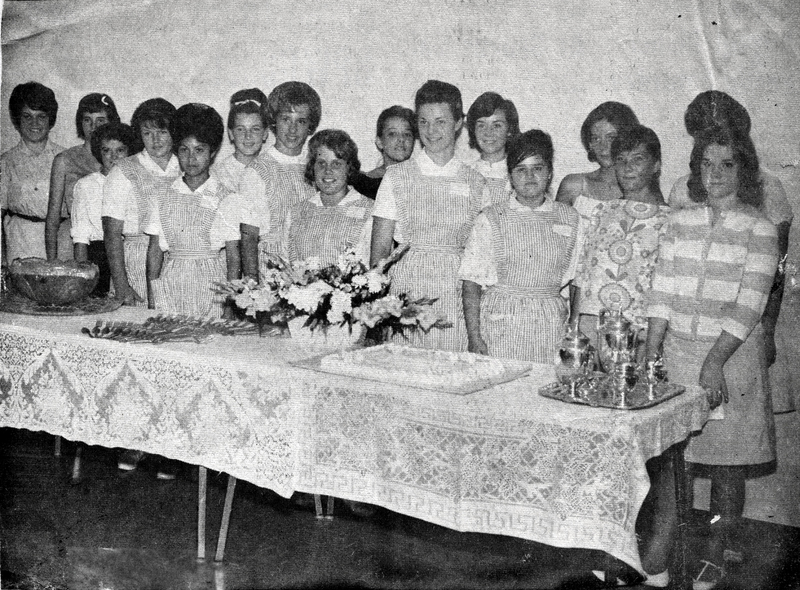 September 28, 1963: The newly organized candy stripers are honored with a tea in the dining room of Santa Clarita Hospital. Mothers were invited to see what their daughters do at the hospital. Forty-five girls from Hart High (then the SCV's only high school) signed up as candy stripers the first year (1963), under the direction of Mrs. Oleita Hickox, Mrs. John Bodine and Mrs. Auby Lee. Pink Ladies (adult volunteers) Bodine, Mrs. C.E. Cash and Mrs. Glen Gordon served at the tea, while assistant hospital administrator Lena Huntsinger provided a crystal punch bowl and silver tea service for the occasion. The girls in attendance were Martha Akins, Betty DiMargo, Pat Nowell, Irma Langoria, Pat Mossner, Sharon Collier, Diane Bishop, Rosa Haro, Karen Pauley, Lillian Engelstad, Susan Minzel, Sylvia Deines, Cris Crawford, Nancy Walker, Judy Cherry and Peggy Neil. 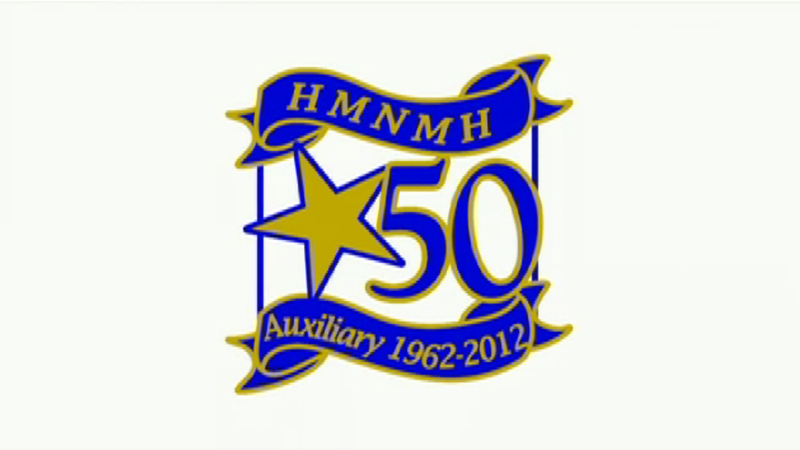 Girls unable to attend were Sally Longoria, Pat Reyes and Sharon Cook. In June 1963 the candy stripers (technically Junior members of the Santa Clarita Valley Women's Auxiliary) elected their own board: Akins (Atkins?) as president; Reyes, Longoria, June Butts and Mary Munoz.